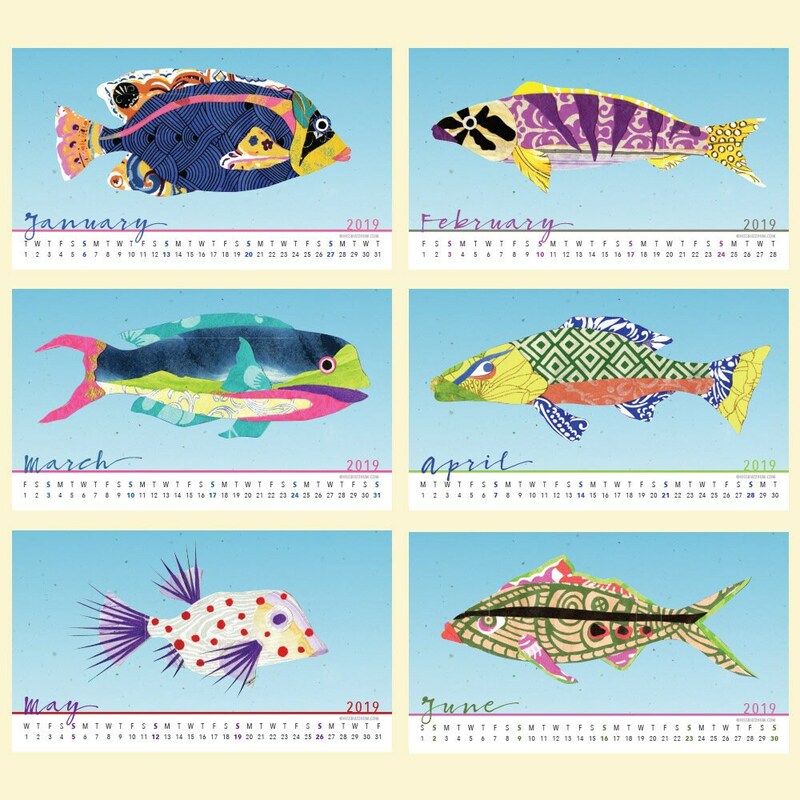 A February trip to the Great Barrier Reef with my sweetie inspired this year's calendar artwork. 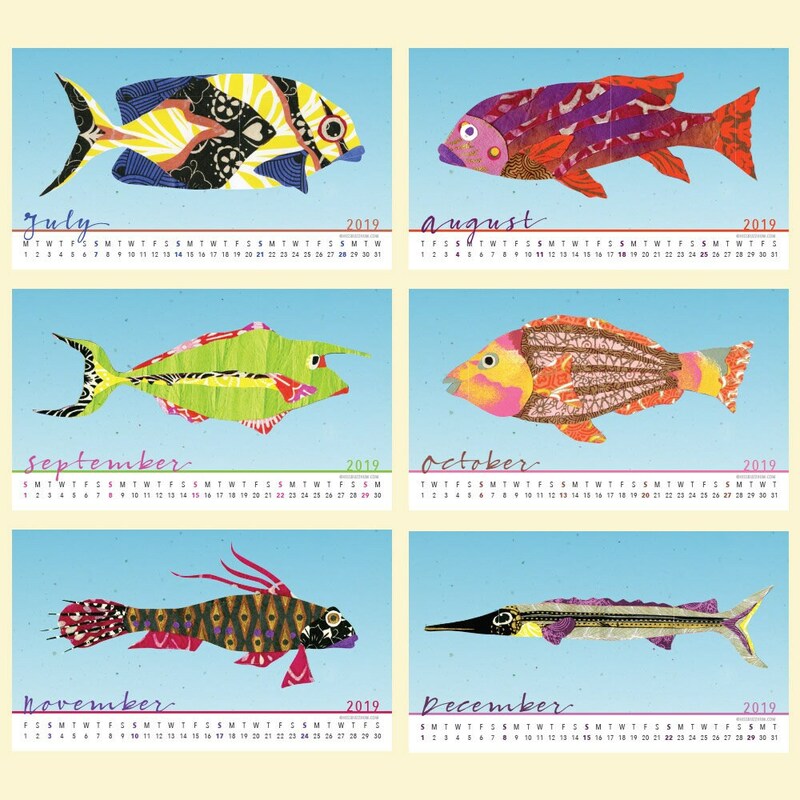 These fantastical fishes are a blend of my fascination with the natural world and my love of paper and pattern. I create my own species with scraps of paper from my hoard: everything from origami paper I've had since I was a kid, to recycled wrapping paper, to art papers collected from many sources. 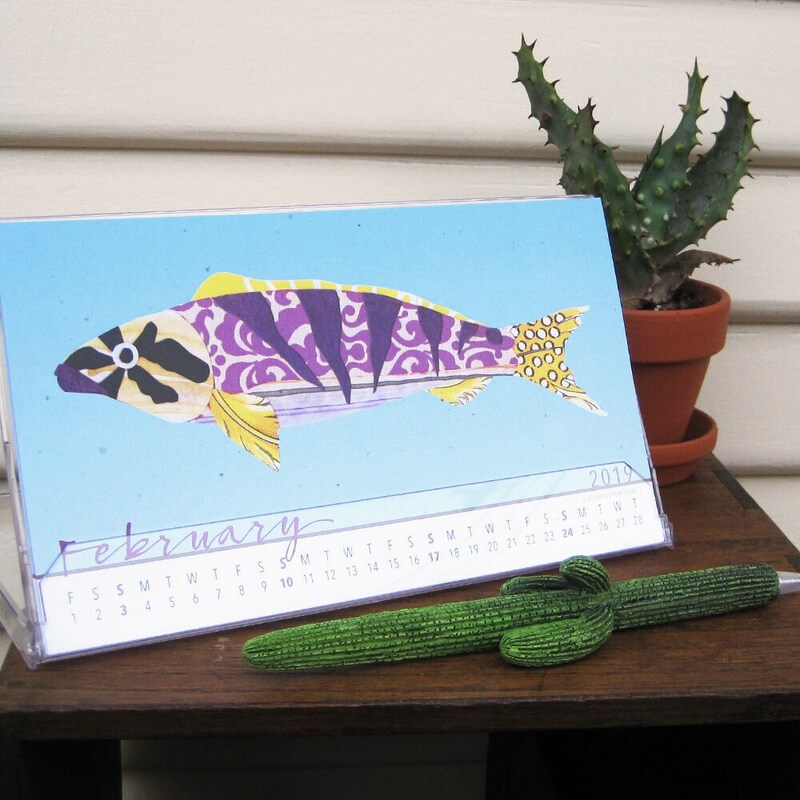 Handy desk calendar features reproductions of original collages. 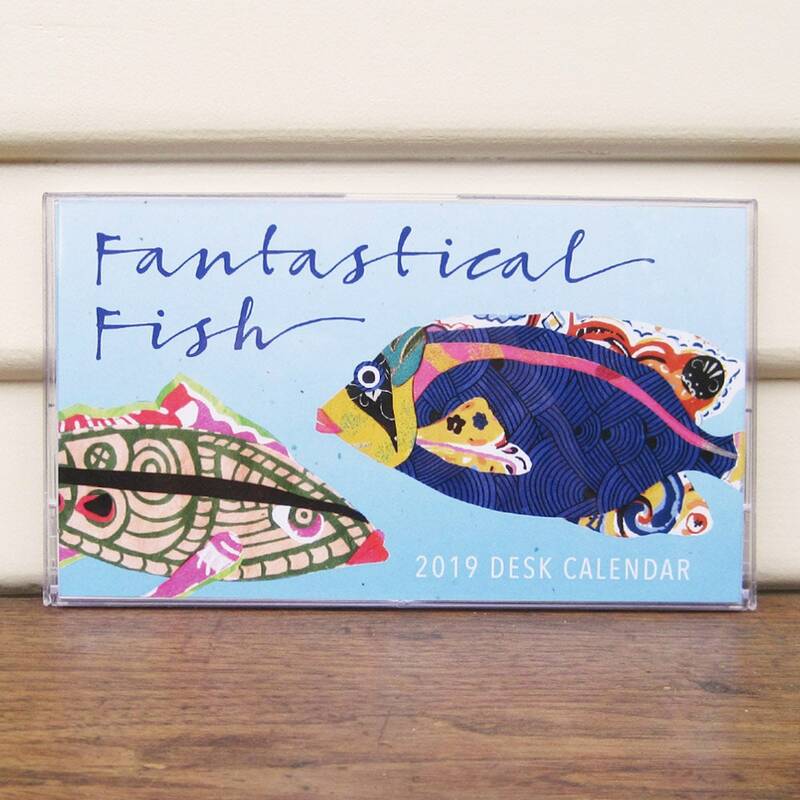 Printed on sustainably sourced paper in Portland, Oregon. 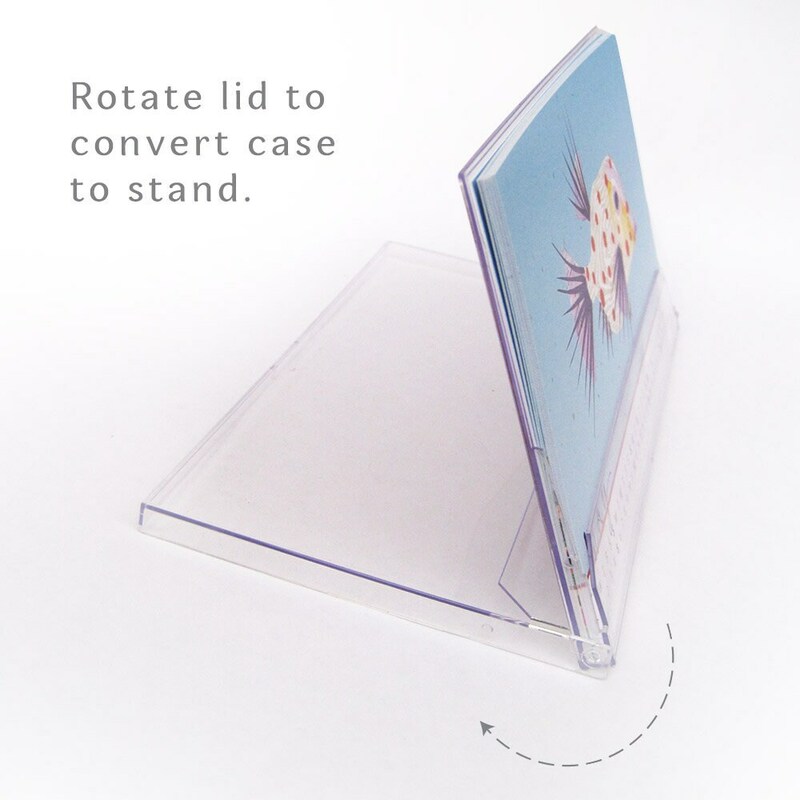 Compact plastic case easily converts to display stand (4.5" x 7.5" x 0.3").